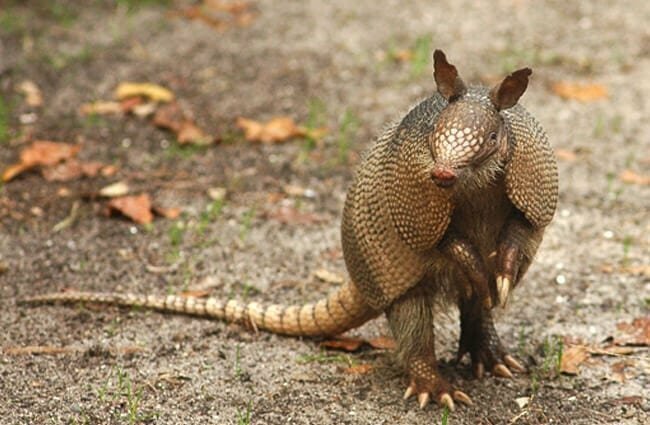 Armadillos are leathery little animals that live in North, Central, and South America. 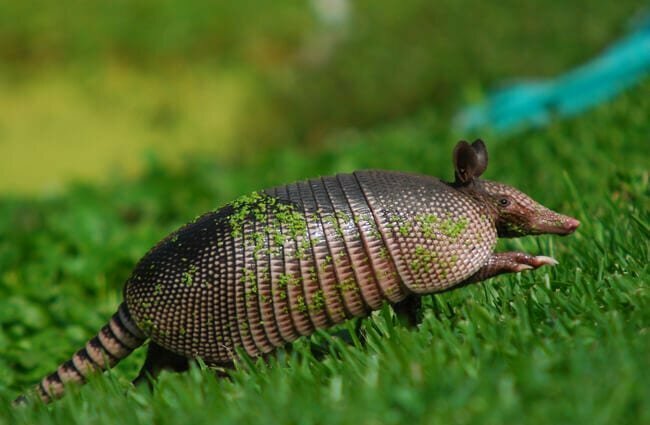 Though they seem scaled, like a reptile, armadillos are actually mammals. They are warm-blooded, have hair, give live birth, and nurse their babies with milk. Their name comes from their thick leathery skin, and means “little armored one” in Spanish. 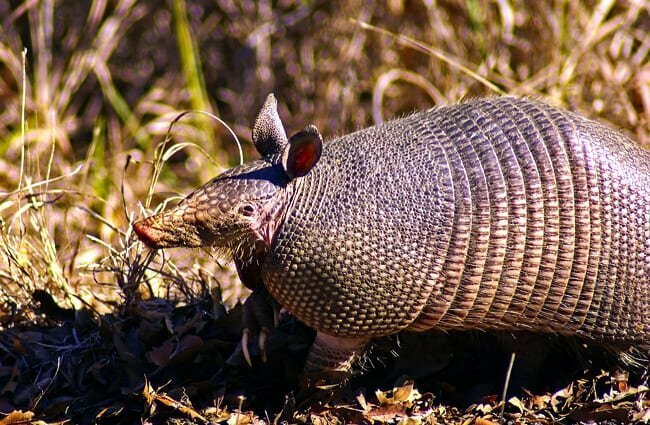 Read on to learn about the armadillo. There are at least 21 different species of armadillo, each with its own unique appearance. The largest species grows nearly 5 ft. long, and weighs up to 119 lbs. The smallest species is just 5 – 6 in. long, and weighs less than a pound! 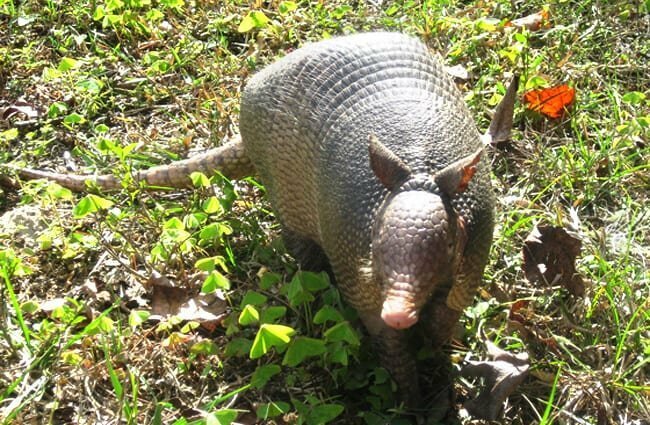 As a whole, armadillos usually have tank-like bodies, with short legs and sturdy builds. 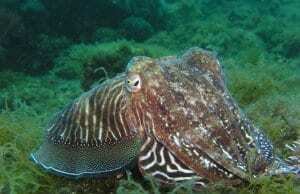 They have a thick leathery “shell” of skin, which protects them from predators. Of course, such an odd-looking animal has to be equally as interesting! Armadillos are unique animals, with unique traits and behaviors. Ancient Animals – Scientists believe that the extinct glyptodont was related to modern-day armadillos. These extinct creatures looked much like modern-day armadillos, only blown up several hundred sizes larger. Researchers estimate that the largest glyptodonts could weigh nearly 4,500 lbs.! Ringed and Round – Despite the popular myth, most species of armadillos cannot roll themselves into a ball. The only species that is capable of this unique behavior is the three-banded armadillo. Identical Infants – One species of armadillo, the nine-banded armadillo, gives birth to four babies at a time. These babies are identical quadruplets, and all originate from a single egg. They are 100% genetically identical to one another. Spunky and Spooked – When frightened, armadillos have a rather odd coping method. Instead of simply fleeing, many armadillos leap straight up into the air. During these jumps, they can reach heights of three or four feet! Sadly, this method is ineffective against cars, and armadillos are very commonly victims of unsuspecting drivers. With such a wide variety of species, the habitat preference of armadillos is quite wide. 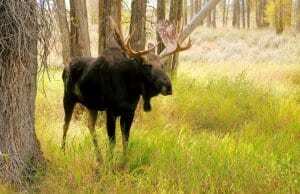 Some species live in areas with moist soil, close to rivers or streams. 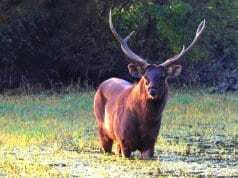 Other species live in open grasslands, or lowland forests. 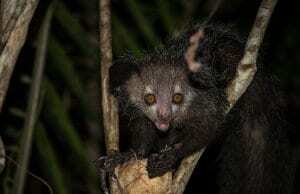 They also live in sand dunes, tropical rainforests, prairies, scrublands, and more. 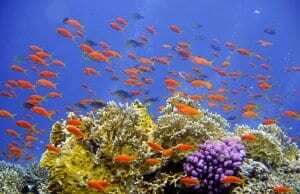 Within their range, these creatures live in many different types of habitats. A number of different armadillo species live in North, Central, and South America. Some species, like the nine-banded armadillo, have very large ranges. Other species, like the little pink fairy armadillo, live in a relatively small area. 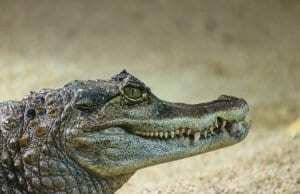 They live as far north as the middle of the United States, and as far south as the tip of South America. Many different species live in Central and South America, while only a handful live in North America. Each species of armadillo has a different diet, and for some species, animals in different areas rely on very different food sources. However, the vast majority of armadillos are insectivores. Their diets consist primarily of ants, termites, grubs, and other insects. 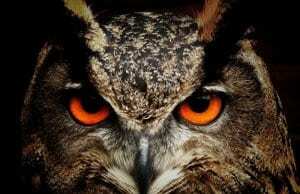 Some other food sources include worms, frogs, lizards, eggs, and some carrion. 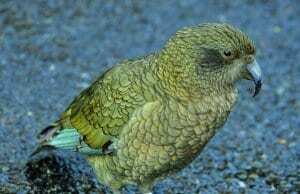 Some species have highly specialized diets, and eat only a few different types of foods, while others feed on a wide variety of insects and small creatures. Unfortunately for armadillos, human interaction is usually a bad thing. As discussed previously, armadillos are very prone to run-ins with cars. 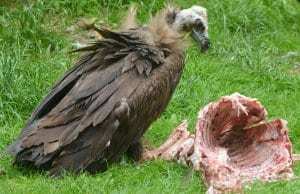 Humans also kill them intentionally for digging and destroying lawns and gardens. In different areas, habitat destruction also causes problems. Humans threaten some species of armadillos with their activity, particularly those with small ranges and vulnerable populations. 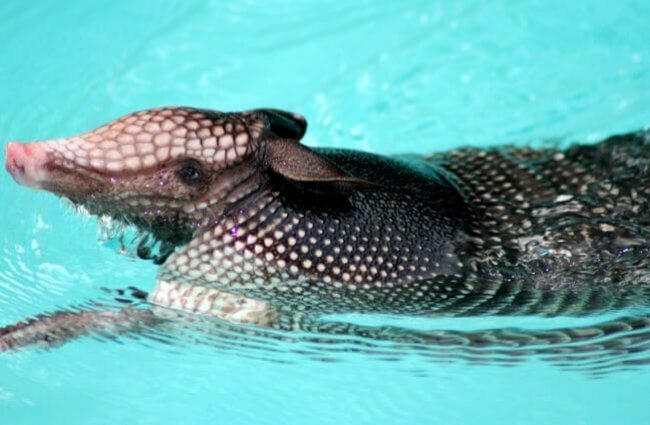 Humans have not domesticated armadillos in any way. No, armadillos do not make good pets. They are wild animals, and in many places it is illegal to own one as a pet. In zoos, armadillo care varies from species to species. For the most part, the vast majority of armadillos dig to search for food, and many also live in burrows underground. Because of this, zoos provide these creatures with plenty of digging opportunities, and even artificial tunnels. Diet also varies based upon the species at hand. Most armadillos are insectivores, and eat a pelleted insectivore diet, meal worms, grubs, and other insects. There are many different species of armadillos, but they are all solitary creatures. They live alone, and those that burrow do not share their homes with other armadillos unless they have unweaned young. These creatures roam about in search of food, using their keen sense of smell. They find most of their prey either under the ground, or in the leaf litter. 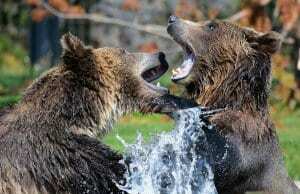 As with any animal, with such a large number of species, the gestation period and breeding habits vary. 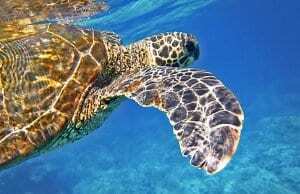 Depending on the species, the gestation period can range anywhere from two to four months. However, some species can delay the development of their offspring until it is a better time. This means that some species can have a “gestation period” of up to eight months. Unlike their parents, baby armadillos have soft skin, which hardens as they grow. Grassland, prairies, lowland forests, rainforests, etc. Humans, dogs, coyotes, foxes, black bears, bobcats, raccoons, etc.